The Careers and Employability Service provides students with the information, advice and guidance they need before, during and after graduating from the University of Suffolk. 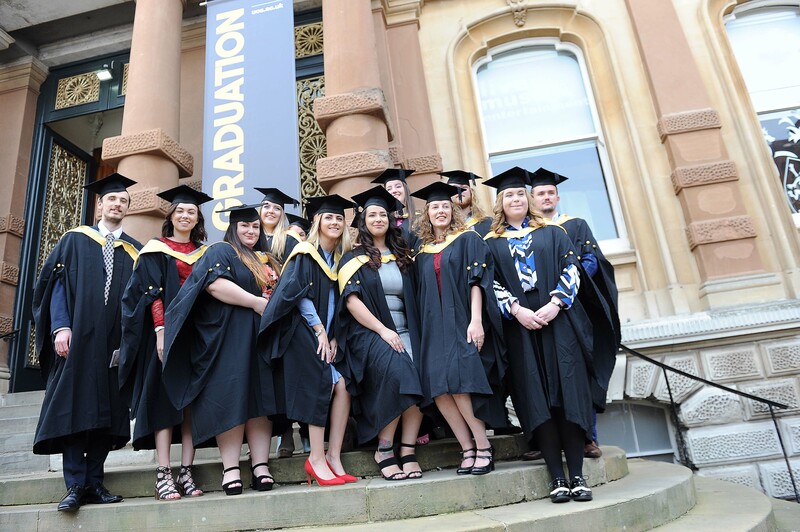 The service is available to all current and prospective students, as well as to graduates of the University of Suffolk within three years of their graduation. The commitment to careers and employability across the curriculum is an important characteristic of the courses offered at the University of Suffolk and students are encouraged to get involved in exciting opportunities that can greatly enhance employability. The newest Destination of Leavers from Higher Education (DLHE) survey, surveying leavers from our 2016/17 student cohort, reported that 95% of University of Suffolk graduates have gone on to employment or further study, embarking on careers varying from Account Management to Careers Advice, Architecture to Games Design, and a wide range in between. At the University of Suffolk, you will have the opportunity to consider your future career, reflect on your previous experiences and prepare to find employment. The Careers team offer confidential advice, mock interviews, and provide the opportunity for students to realise their vocational potential. Support is available to develop important careers related skills and knowledge, such as CV design and interview techniques. In addition to our face-to-face services, students and alumni also have access 24/7 to our interactive online career development learning platform, FutureMe. If you are a graduate that has not previously accessed FutureMe and created your alumni account, or you have any problems logging in, please click here, or email the Careers team. There are also work experience opportunities in the Internship Programme and the Supported Student Placement Scheme. We hold careers events and fairs, workshops and presentations which enable students and potential employers to network, and these events are arranged each academic year. Find out more about our most recent Meet and Greet with Suffolk based organisation, Coderus, and meet our University of Suffolk graduate who is now working there after completing a summer internship with them during his studies. Up-to-date information about jobs and graduate careers is also available through the Online Jobs Board and our variety of social media accounts listed at the end of the page. Access a Careers and Employability Adviser - We offer drop-in sessions for quick careers queries, and one-to-one guidance appointments can be made to discuss topics in more depth. Quick Response E-Guidance - Email your query to a Careers Adviser and we are committed to reply within three working days. Access to Online Resources - The Careers and Employability section of the student intranet (MySuffolk) offers excellent links to websites, hosts a wealth of careers information, promotes employment vacancies, and promotes career development workshops and events. We also have thriving social media accounts across a variety of platforms, including a LinkedIn Job Club, which are regularly updated with new opportunities and topical articles. Access to Professional Publications - We subscribe to the latest graduate and industry publications which provide up-to-date information about graduate recruitment and employability. These can typically be picked up free of charge at each of our campuses. Want to book to see an Adviser? If you are a student or graduate within the past 3 years, you can book a face to face, electronic (Skype) or telephone 1:1 guidance appointment of up to 1 hour in length via our booking page. You can also pop into the Infozone or call them on 01473 338833. Find out about our Supported Student Placement Scheme. These paid roles are for students who have limited previous experience perhaps due to caring responsibilities, personal circumstances, or who may identify with having a disability, mental health condition or learning differences (for example autism, physical impairment, dyslexia and dyspraxia). We will support you in reflecting and developing the skills you need to compete in the job market. Each placement will have a mentor to support and guide you and to help you with strategies to increase your confidence and job seeking skills. All placements are based on the Ipswich campus within the university. Applications open Monday 17 September and close Thursday 1 November 2018. Thanks to the support of the University of Suffolk Foundation Board, we were able to launch our first ever Work Experience Bursary in summer 2018 for current University of Suffolk students. After a successful launch, the Bursary has now reopened for the 2018/2019 academic year, and is designed to support students undertaking extra-curricular work experience opportunities with costs such as childcare and travel. Find out more about the Work Experience Bursary and how you can apply. A Careers Adviser is available for information, advice and careers guidance.